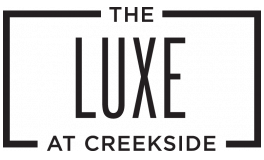 Elevators are among the many amenities our residents appreciate at The Luxe at Creekside. And today our post is a review of elevator etiquette, including what to do — and what NOT to do. We all know indulging in any type of bodily function is definitely taboo, but what about the things you are supposed to do? These tips will help you get it right. 1 person — wherever you want, until someone else gets on. 2 people — separate, you don’t want to get in their personal bubble. 3-4 people — each to a corner. 4 + people — stand where you can fit and still leave some space. Face the door and keep packages and bags in front of your body. In a crowded elevator, the person nearest the door becomes the button pusher. If you are the button pusher, be proactive and ask those entering the elevator which floor they wish to exit on. Say what? Conversation in an elevator. If you must talk, a simple nod and general greeting are sufficient. If you simply must say something, keep it light. If you are with someone and conversing before you enter an elevator, put your conversation on hold until you exit. Never hold a personal or sensitive conversation on the elevator, in person or on the phone. Do not continue talking on your phone. Tell the person you will call them back. (If the elevator isn’t terribly crowded texting is fine. When you are waiting for the elevator, stay far enough back that those exiting the elevator have enough room to get out. Before you board the elevator, know whether it is going up or down (and know which direction you are headed). If the car is already crowded, watch to see if the passengers either verbally invite you to come aboard or squeeze together to provide room for you to enter. If you are in the back of a crowded elevator, let the other riders know when your floor is coming up. It is sufficient to say something like, “My floor is next.” This will cue the other riders to move so you have room to make your way to the front of the elevator. Now, some etiquette for holding the door, conversation, and exit strategies directly from How Stuff Works. If the elevator is very full, let the doors close, but make a quick shrugging "Sorry!" face. The bottom line, whoever gets on or off first should be courteous to everyone. We hope everyone in our New Braunfels, TX apartments takes a minute to review and practice excellent elevator etiquette this month. We appreciate all you do. Leave a comment and tell us about an elevator experience that has stuck with you.